I had my doubts about this one while going to the cinema, because I am a big fan of the first one and was genuinely worried that this one wouldn't live up to it's predecessor. While I do believe that the first one was a better movie, this one is what I would consider a perfect sequel. Guardians of the Galaxy vol. 2 does the right thing by letting us get to know the characters a bit better. 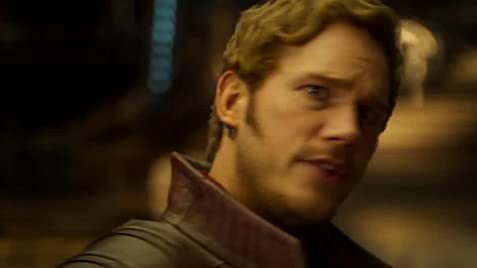 What I was most surprised by, however, was the choice to focus more on the character of Yondu than that of Chris Pratt's Star Lord. I thought it was a brilliant choice; Michael Rooker really shines in this role and is by far the best character in the movie. There are also some really cool action scenes with his arrow. 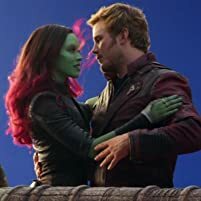 Star Lord gets thrown to the side a bit, which is good since we already know pretty much everything about him except for who his dad is, which we do find out in this movie. 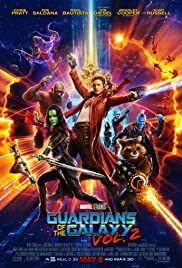 All in all, the action was fun, the characters were great, the colors were great, it was much funnier than the first one (this movie is very much a comedy with some absolutely hilarious one-liners, mostly from Drax) and just overall a delightful experience. It definitely exceeded my expectations. That being said, I do have just a few problems with this movie. They don't ruin the movie for me and they're not that bothersome, but still. We all know about the recent trend in big superhero movies such as this one, which is bad villains. And, honestly, all of my problems start with the villains. 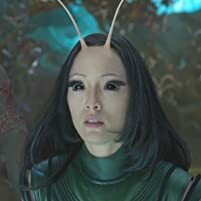 The Guardians are being followed throughout the movie by these golden people, which ultimately serve no purpose in the movie other than being "villains", I guess. I say "villains" because it's very much debatable what their motivations are and even who they are, and we just don't know enough about them to care. Everything they do is pretty ridiculous and over the top. The other problem I have is with Kurt Russel's character. Now, I love Kurt Russel and I was excited to see him play Peter Quill's dad, but his character just feels like a big exposition machine and, not to get too spoilery, goes the typical cliché route. His motivations are clear, but very much overused and he's basically in the movie as a plot device. 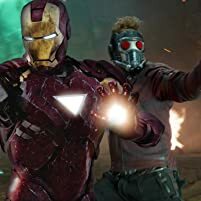 These two things, though, aren't that big of a problem to me because they were just devices for the movie to give Star Lord something to do (of course, a movie needs conflict), and they were background things working around the jokes, fun, and the adventure the characters we love were on. And the ending does get quite emotional. Ultimately, I think fans of the first movie will have no problems enjoying this one as well and I believe it has done everything right as a sequel. Let's just hope Marvel continues down this path of movies that know what they are and are just plain fun.